Thanks for writing the PracticaL Mentor’s Guide On How To Cope With A Difficult Boss. It helped me analyze my difficult situation and develop a strategy that seems to be working. I read where if you call yourself by name when you talk to yourself you pay closer attention to what you are saying. Now ask yourself, “do you believe it makes a difference?” I had to repeat the question. There is a lot said about building bridges and burning bridges, but little on the need for maintenance. Even the strongest bridges will fail over time without reinforcement. When crossing a stream, stepping from stone to stone, have you ever noticed how your mind seems to automatically resolve the maze of options and selects a viable path?. The shortest distance between two points is a straight line, but it is not always the most efficient or quickest path. Some events seem to stay etched in our minds. I can remember when JFK was assassinated, I was driving in my 56 Chevy when it was announced over the radio. Like an old super 8 film clip, a little faded and a bit fuzzy with age, I can still visualize exactly where I was and what I was doing? Another is 9/11/2001. Do you remember? When does self-confidence become overconfident? – When the undefined tipping point is reached causing a virtue to become a vice. When in doubt don’t rush. If you play the lottery, do you feel you made a mistake when you do not select all the right numbers and quit, or do you buy another ticket? Perhaps you are more of an optimist then you realize. I just read an article on hypnotism. It made me very sleepy. Can you imagine how great you will feel when you accomplish a goal? If so, hold that thought until it is a reality. There is a simple wisdom in stating the obvious. For example, every journey starts with the first step. Physically nothing could be truer, but mentally the first physical step is the last mental step in the decision process. They say there is power in the words we use. There is a supposedly a big psychological difference between “I will” and “I will try.” The most common observation is that “I will try” lacks confidence, commitment and conviction. Perhaps we should attempt to try to be more affirmative in our choice of words. No matter my age, this time of year always makes me feel like I should be going back to school. Don’t worry be happy! Often our most dreaded fears are like clouds, blown away by the gentlest of breezes. When developing a career path there are several things to consider. Often the shortest route has the most obstacles, to where the easier path is more effective. Buying into someone else’s dream often turns out to be your nightmare. Some say I am not smart enough to come in out of the rain, but there is something enjoyable about walking in a gentle summer shower. One step forward two steps back eventually gets you past where you started and moving in a new direction. I watched a thunder storm sweep across Manhattan last night. From my vantage point,the lightening illuminated the skyscrapers in fireworks fashion. Even in NYC nature remains spectactular! I am spending the weekend in NYC. Although I am not one for crowds, it is great to see so many successful young people, and they all seem happy. If you were granted three wishes, how many would you spend on someone else? When does it make sense to be rude? What if all the knowledge of the universe was available, something like the Internet, and we had unlimited access? What would be your first search question? To take a step outside our comfort zone, is to take a quantum leap in learning. When I go to a Mexican restaurant I always order a Chimichanga. Mainly because its fun to say. Did you ever think that things would turn out the way they did? It seems positive thinkers, negative thinkers and non-thinkers all end up more or less in the same circumstances. The difference is their perception. I saw some old family photos of me and my cousins playing in the yard. One thing stuck me as a subtle change in dress, all of our jeans had a patch or two from wear and tear. Mondays are still Monday even when you are retired. Where did the weekend go? In my yard this morning, a rabbit seemed to be chasing a squirrel. The squirrel ran up a tree. Game over! When faced with a challenge employ all your abilities, skills and talents.. There is a story about a well traveled path that had a precarious zig zag to go around what appeared to be a large rock. For years the villagers unquestionably negotiated the zig zag. Then one day some boys were playing on the path and decided to see just how big the rock was and started digging around it. They discovered the rock was not that big and rolled it out of the path eliminating the obstacle. It may be worth investigating what it takes to solve a problem rather than blindly working around it. If you are one of those who can say they have never failed or made a mistake, you may be one of the risk adverse group who set the bar too low..
Mondays seem to come earlier in the summer time. No matter how smart, talented, or skilled a person is they can only take one step at a time..
Man learned to swim by watching fish, after watching birds for centuries he learned the secrets of flight. What do you think we will achieve after years of watching TV?. Try thinking of something you never thought about before. It seems to me we keep thinking the same thoughts over and over, maybe it is time for something new. When the lake is frozen anyone can walk on water. What you think, and what you think about matters. There is a story of a man who jumped off the top of a 100 story skyscraper. As he fell past the second floor window he was heard to say “So far so good” Usually a little forethought pays off. Did you ever wish you were someone else? Perhaps a rock star, or a famous statesman or scientist. What would your life be like? No matter the circumstances, I always seem to conclude, I would still rather be me. There is a joke about looking for a lost object far from where it was thought to be lost because the light is better. What if you were looking for something like your shadow? There may be merit in looking for what you have lost where you have a better view. Do you believe there has to be two extremes to realize experiences? There must be an ugly to know what is beautiful, etc. While interesting, I am not convinced that it is true. In my experience comparison is a poison to objective thinking. Think of how many times you were happy and content until you started comparing. When all else fails try thinking. When you wish upon a star, it is difficult to pick the lucky stars out of the billions in the night sky. I guess that is why someone came up with the first star you see at night. It makes picking a star easy, but severely limits your choices. Keep your mind open to all forms of opportunity, as opportunity often presents itself in disguise. Once you make a decision, give it a chance before you start second guessing yourself. There is a one legged roster and about 20 hens on my friends farm. All of the hens can out run the roster, but they don’t. A Child was asked. “If you could be someone else for one day who would you be?” The Child thought for a while and then responded, “Winnie The Pooh.” Who would you be? If you only do one thing today, do it the best you can. You will have a nice feeling when you finish. When I was young I used to have a thinking spot. It was a large boulder that protruded into a stream deep in the woods on my grandmother’s farm. No matter my problem, sitting quietly on my magic rock for a while always brought an answer. The stream is dry now, and the land is no longer a farm. The rock is still there, but its magic is gone. Are we taught to think using language? If so, does our language skills limit our thinking ability? Can you think without framing your perceptions in words? Try thinking without attaching names to the things that come to mind. One of the first steps toward happiness is deciding to be happy and enjoy life. The world seems more friendly when I smile. Finding a four leaf clover means good luck. Finding a five leaf clover means you are too near to a nuclear plant. The odds of winning the lottery are around 1 in 178 million if you buy a ticket, and impossible if you don’t.. Sometimes the best defense is avoidance. One key to survival is to limit your exposure. . There is a difference between and idea that didn’t work and a bad idea. There was a crooked man who walked a crooked mile and when he passed a stranger he gave a crooked smile. Most strangers spotted the crooked man’s zeal as just a crooked attempt to make a crooked deal. This morning the air seemed fresher, the breeze more gentle, and the sun more pleasant. The only difference between today and yesterday is I took the opportunity to notice. Critical thinking should not result in criticism. There once was a hermit who enjoyed talking with visitors, and even built steps up the steep mountain side to facilitate his quests. When asked if you like visitors so much, why don’t you move into town? He replied “When I lived in town no one ever came to visit” There is an attraction in being unique. A man was attracted to a lucky stone and put it in his pocket. He showed it to his friend who recognized it was a gold nugget. The friend tried to get the nugget from the man but he would not part with. Eventually the man grew tired of the nugget and threw it the stream. When the friend found out he was upset, and told the man he had tossed away a small fortune. Upon hearing this the man was upset for his friend not telling him it was gold. Sometimes it is better to share information. When all seems lost try shining a new light on it. Funny how a slight change in perspective can illuminate an otherwise dark situation. After a week in Aruba I have come to the conclusion you may want to add beach bum to your retirement options! One of the cab drivers in Aruba went t great lengths to tell us how laid back and slow paced life was on the island. Then he saw a police car and complained about how many speeding tickets he has received. If all the kings horses and all the kings men could have put Humpty Dumpty back together again, do you think they would also put him back on the wall to let him have another fall? Sometimes resolving the immediate crisis does not always resolve the basic problem. Did you ever attempt a task when you had no idea of how to even start? The result was fairly clear, but there was not a clue of a first step? There is no one to ask; no book to read; just you and the challenge. Situations like this, no matter how small, challenge all our mental faculties. Try it on something inconsequential – just for fun. Every second is the same duration, it is our perception that wraps the apparent passing of time. For me, waiting for someone from out of town to pay by check at the grocery store seems to stop the clock. When someone gives you options they are limiting your choices. Think of the outcome you want and then a solution that will obtain it. I visited my 93 year old mother,this past weekend. Her birthday fell on mother’s day this year. It made me think, when we reach her age almost none of the things we strive so hard for matter. It was touching, while opening her gifts, she said, “My children always mattered most.” Savor your youth! Did you ever consider what life would be like if all your wishes came true? To day pay attention to what you wish for, you may be surprised. There are usually several ways to approach a challenge. However we seem to settle on the first solution that springs to mind. Sometimes it is the best. Many of us are too busy chasing success to seize opportunities. Did you see the Kentucky Derby this weekend? I was impressed when the news caster interviewed the winning jockey right after the race. The excited jockey thanked scores of friends and relatives for their support. Then the newswoman said “You have thanked everyone but the horse.” – Seemed to strike a familiar cord. Experts advise you should have a plan B incase plan A doesn’t work. The trouble is most plan B’s consist of trying plan A again. When is there a need to be rude? The difference between success and failure is often obscured by circumstances. For example,the invention of Post-It-Notes was the result of failed attempt to develop a new glue. Success or failure? There are some statistics that say if you had to do it all over again, you would do exactly the same thing. All things considered-what would you change? Try listening to find out if you can hear silence? A man once found a lucky stone. As long as he believed in the power of the stone everything went his way. As soon as someone planted doubtful suspicions of the stone’s power, it became just another rock. They say you get what you pay for, but it seems to me $4.00 a gallon gas is no better then when I paid $1.00 a gallon. Who realizes the added value? I read a very good Chinese parable on conquering seemly impossible situations. The moral of the story was don’t be bound by artificial parameters. When someone specifies your options they are limiting your choices. The concept of always doing your best pays dividends in the long run. When presented you are offered an opportunity always say yes, you can say no later, but once you say no it is gone. Will money have any value in a cashless society? There is a saying that when one door closes another door opens. Some days I believe this was the inspiration for inventing the trapdoor. Waiting for opportunity is sort of like waiting for a bus. You have to be in the right spot at the right time. The saying that if you miss a bus another will be along shortly is only valid if you are at the bus stop. Have you ever tried to find the pot of gold at the end of a rainbow? The Star Teck communication has been the ultimate goal for cellphones since their beginning, but what other choices were there? There is a real power in imagination. The way we think of situations often predisposes our perception of opportunities and challenges. Happy Easter. Did you know? The Easter Bunny is actually a hare,” “The hare was the sacred animal of Eostre (or Oestra or Ostera), the ancient Teutonic Goddess of the Spring Moon. At the time of the vernal equinox (March or April) the hares are famed for going ‘mad’…” Wonder if that’s how spring break got started? This year we bought Easter candy a few weeks early to avoid the last minute rush. Some how, it has mysteriously disappeared. I am sure the Easter Bunny took it. – Chocoholics anonymous. I just learned “Alouette” is a popular French Canadian children’s song originating in France about plucking the feathers from a lark. It seems to be such a happy song, but I don’t hear many larks singing it. Remember the kids who used to raise their hand in response to every question even if they didn’t know the answer? Wonder how many are politicians? If you take a risk and don’t succeed will you be any worse off? You may be old if you remember when they had live peeps for sale in the 5&10 at Easter. Perhaps your old if you remember the 5&10. Did you hear? April fools day is canceled this year. Looking a gift horse in the mouth may seem rude, but you may see it is a white elephant in disguise. Risk and reward are often over stated. Just because there is a big risk does not mean there is a big reward. If you don’t believe me jump off a cliff just for the experience. Let me know how that works out for you. We all seem to see in shades of gray, although we live in a technicolor world. If you believe you are a product of your past, then you can design your future starting today. Every day presents a new opportunity. When all seems lost, search for what you think is missing in a different direction. There is a fine line between Saint Patrick’s Day and the morning after. Happy Saint Patrick’s Day. Today everyone is Irish, so enjoy the festivities. “Beware of the ides of March” says the soothsayer in Shakespeare’s play Julius Caesar, the warning went unheeded, and Caesar paid the ultimate price. Most of us had to memorize Mark Anthony’s speech during our school years “ Friends, Romans and Country men lend me your ears….” You may do well to re-read Mark Anthony’s famous speech it is a treasure trove of insight and workplace strategies and tactics. The correct sequence on the rifle range is ready – aim- fire. Similarly a good practice is – listen –think- speak. When the US first implemented day light savings time, an unidentified American Indian was quoted as saying “ Only the US government would think cutting a foot from the top of a blanket and sewing back on to the bottom will make the blanket longer.” — What are you doing with your extra hour? With a smile brought on by a friendly westerly breeze, I looked toward the sky only to see a face in the clouds smiling back at me. What things have you learned to do without someone helping you? Be honest, if you read a book someone had to write it, if you watched someone else that counts as help, etc. There is no official standard measure for success. :Implementing creative ideas is often more difficult than conceiving the idea. The ability to recognize good ideas and see them through to production is one attribute that made Steve Jobs so special.. If you like to think outside of the box, perhaps FedEx and UPS are not good career choices. Digging deep for that last little bit extra as you approach the finish line may be the difference between winning and also ran. If you are ever lucky enough to get your dream job, it is up to you to keep the dream alive. There is a synergy between warmer latitudes and better attitudes. If at first you don’t succeed, and the second tries a bust, take heart you are not alone, but try again you must. Some think it is better to be safe than sorry. Others think nothing ventured nothing gained. What do you think? The idea came, the idea faded, another opportunity lost. If you think you have no effect on people try smiling at someone. There is an English Proverb which states “All good things must come to an end. Why? What is your first reaction when you see someone slip and fall on an icy sidewalk? Why is it that short workweeks always seem longer than normal? Would you stoop to retrieve a penny from the gutter? How about a dollar bill? Would a 100 dollars change your mind? Is there really a difference? If we could see the future, would it look any different than what we eventually see as the present? It is those who capitalize on their ideas who profit most from thinking. There is a postulate which states matter can neither be created nor destroyed. In essence this means that all physical things that ever existed or will exist are made of basic recycled building blocks, and nothing is ever really new. Who knows where the atoms that make up your physical body have been? One potato, two potato, three potato more. We used this rhythm to choose sandlot team members. It took me a while to figure out why the older kids always wanted certain positions in the circle. The question Why? seems to be ever more complex to answer than Who? What? and Where? And is only rivaled by the question How? It is almost a duty to eat some chocolate today. Happy Valentine’s Day. This morning, I smiled as I looked toward the sky. It seemed as if the clouds returned my smile accompanied by a refreshing breeze. I dare not frown. Studies indicate when someone does a good deed they positively influence everyone involved: themselves for doing a good deed, the person who is the benefactor of the good deed, and all those who witness the good deed. The converse also holds. Yesterday I met a man named Indian Jimmy who is an avid golf instructor. His advice was search for what works for you and then stick with it. Good advice for most endeavors.I once bet a turtle could beat a frog in a race the length of the bar. It was my turtle I had to support him. The bartender shouted “Go”, and the frog covered half the distance in a couple of hops, while my turtle was still tucked in its shell. All seemed lost until the frog jumped off the bar and landed on the waitress who brushed it to the floor and stepped on it. The turtle was declared the winner although, it never took a step. It taught me never to concede, but to wait for the final results, and it pays to always tip your waitress. There used to be a lot of candid camera shows on what people did while stopped in traffic. Now it seems every one is looking at their cell phone. Does that mean the cell phone is the cure for an itchy nose? When we toss a coin we expect it to land on either heads or tails, there is a possibility it will land on its edge, but I wouldn’t bet on it. There is a saying “Doing the same thing over and over and expecting different results is a sign of insanity.” Isn’t doing the same thing over and over again also called practice? There is another saying “Practice makes perfect.” So is it insane to seek perfection? While watching a colony of ants working in almost perfect synchronization like a living conveyor belt between a piece of candy and their anthill, I placed a good size stick across both lines. I would have guessed the lines would solve the identical problem the same way. However the line carrying food to the anthill took the easier but longer route around the barrier, while the line with no load to carry took the shorter but more strenuous route over the barrier. They picked the two most efficient solutions to what seemed at first to be an identical problem. I guess the poet Frost was ahead of his time, My GPS also seems to choose the roads less traveled. There seems to be formulas or guide lines for almost everything. Even most stories, novels, TV shows, movies, etc follow a very predicable pattern. If our entertainment is so tightly scripted, does it not follow there are also formulas for success? Did you ever try to construct a perfect single wish? Try phasing your wish to achieve whatever and all you desire. Think it through. For example, if you desire to be rich it may come at the price of something else like good health. – If you can frame your perfect wish adopt it as a goal. If you can’t frame your perfect wish keep working on it. I am still working on mine! If only __?__, I would be __?__. Is there anyone who has trouble filling in the blanks? How would you like to have the job of the quality control person at the “Tickle Me Elmo” factory who ensures that each Elmo doll has two test tickles before he leaves the factory. If mind reading were possible, would you be more interested in reading the minds of others or protecting the privacy of your own thoughts? If you had a true crystal ball which showed the future would you use it-knowing it would show the bad as well as the good? There are few questions that just have one answer. The carnival barker said, “Pick a number between one and ten.” “If you pick the number I’m thinking of you will win double your money.” Would you play his game? Does what we say make a difference? “I think is is going to be a nice day”; “I believe it is going to be a nice day”; “It is going to be a nice day” – To express confidence speak in the affirmative. Sometimes it is hard to differentiate between goal setters and goal sitters. Remember the kids who would not take their hands off the goal when you played hide-‘nd-seek. Although their strategy defeated the fun of the game they were never “it” twice in a row. Are your aspirations reflected in your expectations? Do you think setting goals is important? As an experiment, when you take a test is your goal: to pass; get an average grade; get an above average grade; or to get 100%? Compare the goal you set with your test results. How well do they correlate? Did you ever have a dream come true? A premonition occur? A wish fulfilled? If it is possible for thinking to make it so, even only once in a while, perhaps it is worth focusing on positives. Perhaps the biggest difference between goals and wishes are the verbs we use to express them. Never underestimate the power of a genuine smile. Most of the famous soothsayers relay their messages through coded parables, sayings, fables, etc. None seem to speak in plain language. What do you think their conversations would be like? Do you think anyone would simply say “Good Morning Confucius.” or “How’s it going Aesop? I often find it difficult to differentiate between the salient and superficial. In essence both appear equally deterministic. There is a difference between shameless self-promotion and just plain old bragging, although the effect on others is about the same. :Frost wrote _Two roads diverged in the yellow woods, and I- I took the one less traveled by, and that has made all the difference. Yogi Berra on the other hand advises, – “When you come to a fork in the road take it.” – Is this a GPS question? You take the high road, and I’ll take the low road means for sure we won’t be traveling companions. To have a good friend requires being a good friend. Almost sounds too simple doesn’t it? One of biggest differentiators between humans and the rest of the creatures is the ability to think logically. I wonder what the mental process would be like if we relied on instinct? Do you think the idea of flying south appears in a birds mind, or perhaps they are just casually flying around and end up in Puerto Rico, something like an impromptu road trip where when you mind refocuses you realize you are in Fl? A students more often than not end up working for C students so being smarter than your boss is almost a given. Its nice to be the sharpest tool in the shed, but it may be more profitable to be the most useful. I set my goals – but on a shelf – and let life events unfold themself. This year will be different, because like it or not change is constant. 2012 day two, Ok, so you may have out lasted me on the New Year’s resolution thing. One potato, two potato, three potato, four. If you were only going to pick one New Year’s resolution to really concentrate on, how would you decide? I used to think that it was silly to celebrate New Years. It seemed just an inconsequential tick on the cosmic clock, arbitrarily designated by mathematicians trying to micro measure infinity. However as I pay closer attention, I can sense the earth changing albeit in infinitesimal increments as it adjusts to stay in step with the universal cadence. Has anyone started on making their list of New Year’s resolutions? I think I may just reuse last year’s. Do you think there is a need for a website to trade homemade gifts? Is it ok to eat the half of cookie that Santa left behind? Next year I may limit my Christmas wish list, try as I might I can’t seem to get to the bottom of my gift of friendship. I keep giving it out and it just keeps expanding. Here take some. Merry Christmas. IIf you can remember what happened at the office holiday party you probably still have your job. It is bitter sweet to recall Christmas past, I mainly recall the fun I had as a kid, and with my kids opening presents and just sharing a special day. I do believe in Christmas, for some how the day after Christmas there is not the same magic in the air. When I was in the first grade, the teacher thought it was really cute to have all the kids sing “All I want for Christmas is my two front teeth” because most us of had the appropriate gaping smiles. – Now she would probably be fired. I can remember how I felt when my big sister told me there was no Santa Clause, it felt very similar to when I was told my 401K evaporated. Remember when it was your wish to catch Santa delivering gifts to your house? Although most kids said their motive was to thank him, most of us were thinking we could negotiate a better deal. Try smiling before expressing your Christmas and holiday greetings; you will most likely receive a return smile. One could consider it a mini gift exchange. Words are just words it is how they are used that give them meaning and power. Self-confidence is like armor that enables us to fearlessly engage our challenges. While looking at clouds we often recognize images in the randomness. Similar to classic and modern art both convey a message. So when cloud watching experiment by not focusing on identifying specifics but being open to the impressions imparted by seemingly randomness. :What are the odds in a gift exchange with a dollar limit the gift you receive is as nice as the one you gave? Can one be motivated to become inspired? All I want for Christmas is everything I didn’t get last year. In the news this morning – There was a claim that some of the leading brands of apple juice contain arsenic (poison) in excess of the limits set for drinking water. A little scary. The industry response was that there are no arsenic limits set for juice, and juice is not water so those limits don’t apply. Now that’s scary. Santa’s job is a lot easier thanks to all the social networking sites it is much easier to keep track of who is naughty or nice. Thanksgiving always brings to mind the opening words from Dickens ‘ “Tale Of Two Cities” – “It was the best of times, it was the worst of times …” No matter the situations there is always a reason to be thankful. For many, like generations of our military, just being alive is a reason to be thankful. Some say luck trumps skill. The lucky ones say skill brings luck. The unlucky ones say “Rats” or something to that effect. The current image of Santa Clause was created by Coke in1931. Just think what Santa would look like if LSD was the inspiration. There is no correlation between simple and simpleton. Similar to singing in the shower enhancing one’s voice, thinking in silence enhances one’s mind. Some say that dreams are our subconscious sending us coded messages. If so I need to go back to cryptology school. Is it true that most people who think outside the box are gift wrappers? For truly creative thinkers there is no box. If it doesn’t seem fair, it probably isn’t. The best way to compete against luck is to be luckier. Life goals should be approached with a similar mind set as completing a jigsaw puzzle, by figuring out how to fit the many small pieces together to achieve the desired result. Gravity is a constant force that can either aid or hinder movement depending on how it is applied. For example, a cyclist pumping up a hill struggles against the force of gravity while another cyclist coasting down the same hill gets an effortless free ride. Sometimes a change of direction can reduce an opposing force. A one-step forward, two steps back strategy enables you to quickly move beyond your initial starting point, albeit in the opposite direction. Opportunities are something like buses, if you miss one another will come along, but no matter how many times a bus comes by, until you decide to get on board, you will be stuck at the bus stop. Many great philosophers are astute in their observation “a journey begins with the first step.” They are not as quick to describe the end of the journey. Does a journey end with the last step or when the destination is reached, and is there a difference? It is more inventive to mold technology to your imagination, than to mold your imagination to technology. Do you think if airliners provided parachutes they would charge skydiving fees if you ever had to use one? The concept of self preservation has little to do with Cryogenics, although I guess that is a form of saving yourself. There is a big difference between always wanting to be first and not wanting to always be last. If you want to be a genius think outside the box, and continue to color inside the lines. The conventional wisdom regarding kindness states: A kind act positively influences the giver of the kindness, the receiver of kindness, and those who witness kindness. I wonder if the effect is cumulative or transient? Does one really pursue fame and fortune, or is more like fishing, where although you go to a likely spot, and use an attractive bait, it is really up to the fish to bite? Focus is a trait which enables us to take an array of scattered incoherent ambient flux and concentrate it into a formable force. Do you ever think why you think the thoughts you think? The saying “Put your best foot forward”, seems to imply that one of our feet is better than the other, and if you are an English major that we have more than two feet. Sometimes it is counterproductive to search for the literal meaning – you get the idea. I used to think it would be nice to be intelligent, then I learned it is better to be smart. I never understood why it is so much fun to jump into a pile of freshly raked leaves, but the desire to so never seems to fade. :Can you think a thought that always makes you smile? The difference between a hurtle and a barrier is determined by the outcome. The morning news carried a story of American 8th graders not knowing the US Revolutionary war was fought for independence from England. Another story was potatoes are being banned in all school meals. Perhaps the next generation will have no clue about the Revolutionary war, and we will need a new nursery rhyme to replace One potato, two potato for choosing schoolyard teams. Oops- schoolyard team games are gone too. Never mind! In my opinion playing the lottery is the ultimate expression of optimism. Many great discoveries are made in the most unlikely ways. I read where teams of Internet gamers have unlocked the structure of the AIDS virus, a feat that has eluded scientists for 20 years. Creativity and genius is not limited, and is available to all of us. Sometimes it is better to take an educated guess than to not respond at all. A lot of advice urges us to relentlessly pursue your goals. If achievement of your goal keeps eluding your good efforts, perhaps it is worthwhile to re-examine both your efforts and your goals. Often we bridle ourselves with the proverbial carrot and stick, and set out on endless quests destined for failure. They say if you chose a career you enjoy you will enjoy every day at work. Maybe so, but I have yet to find anything that does not have the occasional fly in the ointment. Realizing that there will be bumps in the road does not make the ride any more comfortable, but it does take some of the shock out of hitting the unsuspected potholes. I read a very interesting article, which claims that even after careful analysis and fact finding, our decisions are made a purely emotional level. If so, this may explain why sometimes we are own worse enemies. Psychologists say – when you use your imagination you plant the seeds of your future, so why not imagine the best for yourself? When I was young it was the beginning of the baby boom. It seemed like every family friend and relative just had a baby or was carrying one. It seemed like most conversations revolved around the experience of having children. So when my first grade teacher, Sister Marie, asked, “What does Labor Day commemorate?” My answer launched my long career of detention. Labor day is a day set aside to honor the contribution of workers to society. This country was built by a diverse group of people with a common goal to make a better life for all. Have we lost the basic concept of America as a social melting pot? They say that it is better to be lucky than good, and you can improve your chances of success through focus and practice. This seems to indicate you can improve your luck through hard work. I wouldn’t bet on it. PracticaL Mentor Quote: There is a difference between confidence and arrogance, and it takes listening to only a few sentences to determine which is which. I bought a can of sealer to fix a leaky vent on the house. The label stated it was guaranteed for life. Then I read the warning of how toxic it was. No wonder they could guarantee it for life – If you inhaled it you probably wouldn’t live until the next rain. If you think close counts in horse shoes, try playing someone who throws ringers all the time. When the electric went out during the hurricane, the house grew instantly quiet, at first it seemed a welcome change, and I thought of what it must have been like before we had all our modern convinces, it must have been really boring. Watching the rain starting to fall as hurricane Irene makes her presence felt, I can only think that if Noah was a true humanitarian he would have seized the opportunity to leave the mosquitos, ants, and stink bugs behind. This morning I watched the early birds looking for breakfast in the yard. There were those who focused on searching and intently scratching for food, and others who focused on those who were foraging, waiting to rush in at the first sign of success. Although it didn’t seem fair, those who swindled the food from the foragers seemed to be the best fed. I am sure there is a lesson in there somewhere. When the Native Americans used shells to trade, the value was not in the shells but the immense labor it took to make the hole to string them on rawhide. When the Europeans came with technology to easily drill holes in shells they flooded the trading markets buying up furs and other trading goods on the cheap until the bubble burst. Sound familiar? When faced with what seems to be an impossible situation, shift your thinking beyond your perception of reality to develop impossible solutions. If an impossible situation can exist, why can’t an impossible solution be applied? All too often we forget to thank those who’ve really help us. A genuine smile, a heart felt thank you, and acknowledging their contributions are all good ways to express your appreciation. Last night the sandman brought a new but recurring dream, that perhaps the real world is not as real as it may seem. The moon rose twice in a single night over a clam but churning sea, as the wind howled and blew a pleasant westerly breeze. Together we hoisted the mainsail on our craft so sturdy but frail, to ride the gentle torrents on a voyage to who knows where. The summer heat is finally breaking and there is a hint of fall in the early morning air. No matter how long it has been since you graduated, this time of year always seems to send out a sirens call to return to school. When you ask a friend to be honest in their answer to a delicate question they usually placate you with white lies, but a good mentor will be diplomatically truthful. . The other day I was at Taco Bell and a woman was trying to get her mother, who was using a walker, through the double set of doors. I went and held first one door and then the other so they could pass. Not such a big deal, but when I came back to finish my lunch someone held the door for me. – That seldom ever happens! When I was 12, all I wanted was a 26inch bike. It was like a right of passage into becoming one of the big kids. If I only had a bike I would be happy. My parents gave me a bike for Christmas, it was like a dream come true until spring came and all the big kids were driving cars. While playing horseshoes at the beach yesterday – I was constantly reminded – the saying close only counts in horse shoes – really means the closest counts. There was a hermit who hated the rain, the wet and the cold would drive him insane, he would huddle alone by the fire deep in his cave, cursing the weather and praying for dry. Then one spring he discovered a hermit lady who lived near by. They pulled their assets and moved in together, and now huddle together they don’t mind the weather. It takes a special person to be a mentor, one who has achieved status in their career, and is willing to share their experience to help others. Like links in a social chain, It is the ultimate way to pay back for those who helped you. – The PracticaL Mentor. Finding a mentor who will selflessly guide you through the shallows and narrows of you career, is something that comes through a mutual bond. Like a best friend, it is a relationship forged by sharing experiences and building trust and respect. – The PracticaL Mentor. It rained almost the whole way home from PA, and traffic was a mess. I guess $4.00 a gallon gas isn’t enough to dampen our American spirit for driving. I think I’ll stay home for awhile. If for no other reason than just not to line the pockets of the greedy. – The PracticaL Mentor. Soon many of us will graduate from our educational cocoons prepared to step forward and take up our role in society confident in the knowledge gained through our studies, and secure in our abilities to carry on the ethics and core values learned from our mentors. – The PracticaL Mentor. When I think of the mentors who have helped along my career path each stands out for not only their sage advice, but more prominently for their personal interest. – The PracticaL Mentor. Without mentors we would have to learn all of life’s lessons the hard way. – The PracticaL Mentor. There are several ways to say thank you to a mentor, and the most rewarding is a simple acknowledgement of their value to you. – The PracticaL Mentor. 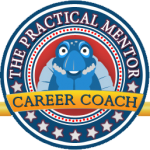 PracticaL Mentor Quote:The best way to thank your mentor is to achieve your goals. – The PracticaL Mentor. :When think of all the people I met during my career my mentors standout head and shoulders above the rest, – The PracticaL Mentor. Perhaps the most decisive factor in averting a government shut down is the start of the 2012 re-election campaign season. – The PracticaL Mentor. Last night we took the opportunity to look at the supermoon. It was special and bright with the full face of the man-in-moon clearly visible to the unaided eye. As we tried to get a better look through binoculars ,the moon’s face disappeared in the more detailed view. Sometimes the closer we look the less we see. .- The PracticaL Mentor. Friendships are forged under a variety of circumstances, but the fundamentals are the same. Learn the fundamentals of being friendly and you will make friends. The PracticaL Mentor. Do you have a common a refrigerator at work? You know the kind, like where Dilbert’s boss gets all his free drinks. I started putting my name on all my soda cans in an attempt to stop them from disappearing. Now at least I get anonymous thank you notes. – The PracticaL Mentor. Today as the snow clouds crowd the sky, it is easy to pick out the symbols of warmer days gone by. The falling snow reinforces the mood that winter days bring, and turns our minds to the frolicking carefree pleasures of spring The PracticaL Mentor. Most inventors do not profit as much from their inventions as those who market them. Imagination is the foundation of creativity. – PracticaL Mentor. Leadership is more than just getting your way. A two-year old may obtain a momentary concession through bad behavior, but is far from being in charge. The PracticaL Mentor. Cupid raised and shot his bow, but arrow missed its target. Instead of beguiling an intended lover it landed in the market. Who ever tread upon the arrow found love within the hour. They began to crave and eat chocolate inducing a euphoria mood. Well I spent my first extra hour trying to set all the clocks in the house. I guess I did grow up in a simpler time. Now the TV stand has more clocks than our whole house did when I was growing up, and none of them flashed — –. which now seems to be the default universal time. The PracticaL Mentor. You can learn form leaders without being a follower.- The PracticaL Mentor. There is always more than one way to look at things, try choosing a positive view and see if you notice a difference..- The PracticaL Mentor. Test you sense of universal fairness. If you were designing the universe would you equip the prey to be an equal match for the predator? As currently designed it is just a game for the cat to chase a mouse, but for the mouse it is a life or death. Would you change it if you could? – The PracticaL Mentor. There are many routes to most destinations, and the choices we make decide our itinerary.- The PracticaL Mentor. Two runners crossed the finish line at the same time. Completing the race in record time was an achievement for both. One appeared happy for running a great race; the other was sullen for not being a step faster. Which one was the winner?- The PracticaL Mentor. In the race between the tortoise and the hare, the hare had the advantage of confidence and speed. The tortoise had a strategy that included persistence, focus and psychology. 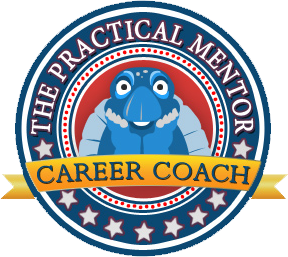 The tortoise won the race, and was smart enough to avoid a rematch.- The PracticaL Mentor. If we learn through making mistakes, do we lean more from intelligent mistakes?- The PracticaL Mentor. There is a difference between chance and opportunity. The lottery provides all a chance to become rich, while an opportunity is most often a more subtle and individual invitation. – The PracticaL Mentor. Opportunities only provide the circumstances to demonstrate your abilities. The proof of performance is your responsibility. – The PracticaL Mentor. Opportunities are usually a set of favorable circumstances brought about by seemly random occurrences. There is evidence that positive thinking can conjure up the circumstances to produce an opportunity. Give it a try! – The PracticaL Mentor. If the images in the clouds are harbingers of things to come, I may finally be getting that pony I wanted when I was nine. – The PracticaL Mentor. :The government manipulates the consumer price index so there is no inflation – everything just costs more. – The PracticaL Mentor. Log in . Register . 35 queries. 0.230 seconds.